I am daily in awe of how much you love my family! I love when we get the giggles (at in opportune moments) and cannot look at each other or else we will bust into laughter! The way you like to take the long way home on a road trip just because it is prettier. . . Being in the deer stand with you . . .
How you play with the puppies EVERY SINGLE DAY when you get home. . . Your absolute and unwavering support of everything I do and the way you have more confidence in me than I do in myself. 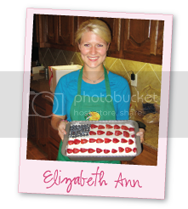 . .
ahh so sweet elizabeth ann!! what a sweet post and i know you are very thankful for Jesus for him each and every day. happy valentines day sweet friend!